Tradition Polish Clothing, provided by Polanki, The Polish Women's Cultural Club of Milwaukee. 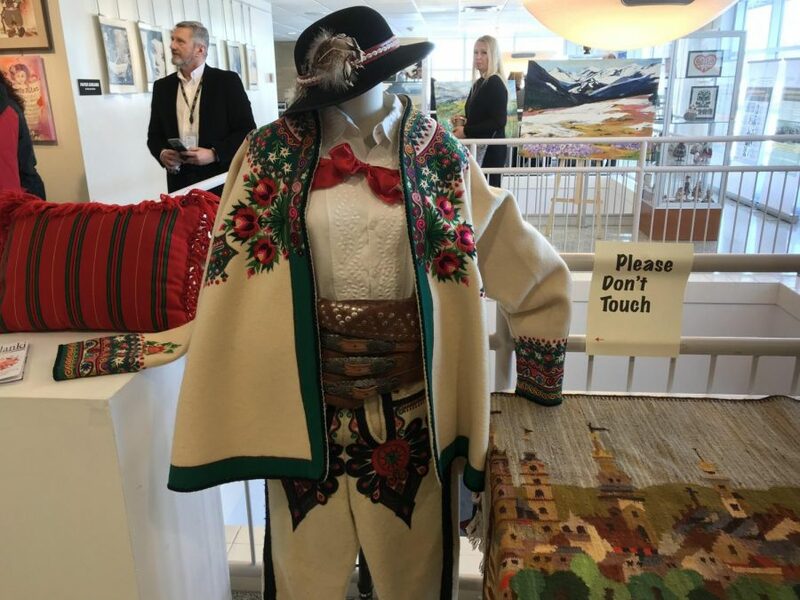 Coming Together had their opening ceremony celebrating Polish culture at Niles West on Sunday, Jan. 27. Since 2010, Coming Together has put on a celebration each year on one specific culture. In the past, they have focused on Muslim American cultures, Asian Indians, Latinos/Hispanics, Greeks, Assyrians, Koreans, “The Voices of Race” and the Chinese culture. 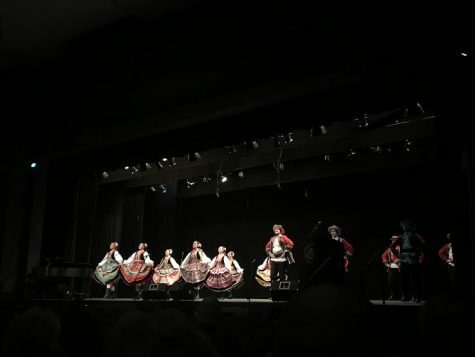 Men and women dressed in traditional Polish attire welcomed members of the community into the main entrance at Niles West High School and the sound of live Polish music filled the air signaling that the annual Coming Together ceremony had commenced. In just a couple of hours, the offerings to the public were plenty. Before the program began in the auditorium, long lines of tables could be seen set up with traditional Polish foods, coffee, and tea available. A large number of people showed up with multiple students behind the tables serving the food and pastries to the public. Alongside the tables, there was a long row of tall posters, each having different photos on them and different text that explained a historical significance. Above the main entrance, in the art gallery, many traditional clothing pieces were on display, as well as multiple pieces of paintings, drawings and more. Just like the main halls, the art gallery had posters lined up against a window, but these posters had different text about multiple significant leaders. The program began in the auditorium after the beginning festivities died down a little. After a quick performance by The Whisper Center, a not-for-profit organization, the program got kicked off by the Polish and English national anthem. Traditional Polish dance being performed. After a couple of dances and musical performances, one of the founding mothers of Coming Together Susan Van Dusen spoke to the large audience filled with families and explained the purpose of the event. “I am so happy to see you all here braving the cold weather, but then people from Poland understand cold weather. This is indeed a day of celebration on two levels, this is our 10th Coming Together… ten years! And we are honoring the country of Poland, a decade ago my very strong females in Skokie acknowledged a great diversity, which was a blessing in our area. We decided that our residents needed to get to know each other beyond a friendly hello,” Van Dusen said. Last to speak before the rest of the program continued was the Mayor of Lincolnwood Barry Bass. In a short time, Bass spoke about the Polish cultural impact on Chicago. “I may be a little repetitive here about history, but if you don’t know where you came from you’re not gonna know where you’re going. Polish Americans have had a rich history in the United States, especially in the city of Chicago, where we celebrate Casmir Pulaski,” Bass said. The celebration will be a four month long celebration, with many more events taking place between now and April. Be sure to go to the Skokie District website to find when and where other events will be taking place.